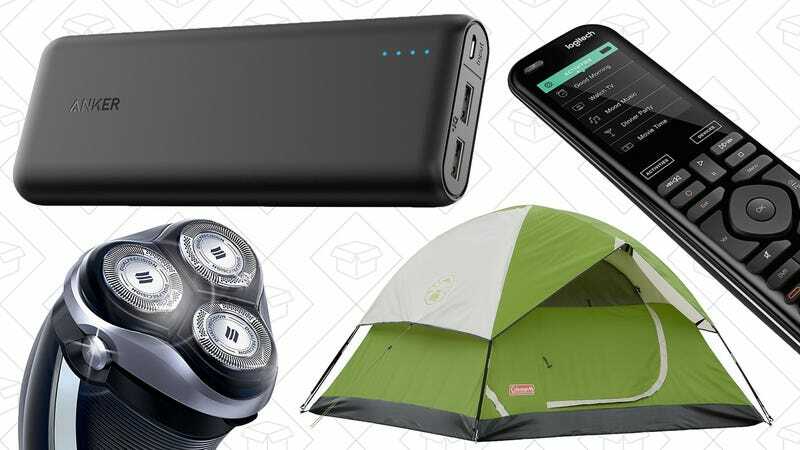 Camping gear, the best Logitech Harmony remote, and a popular Anker USB battery pack lead off Monday’s best deals from around the web. Anker’s PowerCore battery packs are by far our readers’ favorites, and the 15,600mAh model is within a buck of the best price we’ve seen today with promo code ANK15600. 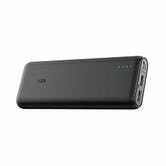 While it’s probably too big to keep in your pocket, it’s worth keeping a battery of this size handy for long flights, camping trips, power outages, and any other situation where you’ll be without reliable charging for an extended period. It’s even big enough to share, if you’re feeling generous. Sony’s MDR line of Bluetooth headphones sold like gangbusters during Black Friday, but if you were holding out for noise cancelling models, Amazon’s rewarding your patience today with a $70 discount on the top-of the line MDR1000x. 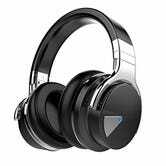 These headphones have all the features you’d expect in a good pair of Bluetooth headphones these days: NFC pairing, 20+ hour battery life, and even LDAC Hi-Res audio compatibility. But the secret sauce here is noise cancellation, including a special mode that lets ambient voices through either at all times, or just when you cup a hand over the right earcup. $328's still a solid chunk of change, but it’s the largest discount Amazon’s ever listed on this model in its 9+ months of existence. 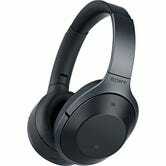 Update: The lower end Sony extra bass noise-cancelling headphones are also down to $178, an all-time low. 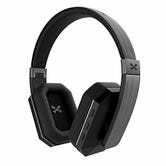 If Sony’s noise-cancelling Bluetooth headphone deals are a little out of your price range, Ghostek’s well-reviewed soDrop 2s are also on sale today for $70, a rare discount from their usual $80. They run for 14 hours on a charge and boast a 4.6 star review average, so if you’re a fan of their angular design, they’re definitely worth a listen. You don’t need to wait impatiently to get a deal on the brand new iPad Pros: Walmart’s already taking about $50 off the 64GB model, and about $60 off the 256GB version, in multiple colors. That leaves you with more money to spend on a smart keyboard or Pencil. 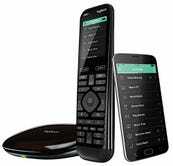 Logitech’s Harmony Elite is basically the grand poobah of TV remotes, with the ability to control up to 15 different devices, a capacitive touchscreen, the ability to build programs that control multiple devices with one touch, and a lot more. My favorite feature though? The included Harmony Hub that turns your smartphones, Echoes, and Google Homes into fully-functional remotes; perfect for when you’ve inevitably lost the actual remote in the couch cushions. $250's a pretty penny, but it’s the best price Amazon’s ever offered. SONOS discounts only come around once in a blue moon, but for a limited time, you can save $50 off the purchase of two SONOS PLAY:1s, and $100 off the SONOS SUB, both of which offer stellar sound and dead-simple setup and operation. The iPhone 7 has pretty good battery life, but it could always be better. 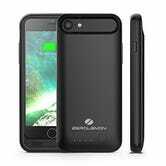 So if you don’t want to carry around a USB battery pack and spare cable, this ZeroLemon case can double your phone’s runtime for just $17. AAA batteries still exist, which is generally quite annoying, but it’s slightly less inconvenient when you have good rechargeable. 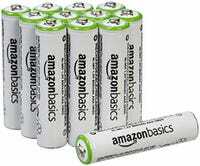 Get eight from AmazonBasics for $10 today, or a dozen for $12. Amazon’s Father’s Day device deals just went live, including $20 discounts on the Kindle, Kindle Paperwhite, and Kindle Voyage, extra savings on various Kindle bundles, and less common deals on Amazon’s Echo line of smart speakers. Alexa does know some great dad jokes, so that part makes sense. There are too many deals to list here, but head over to this post to see them all. Update: These deals expire Saturday, so don’t miss your chance! In a few years, USB-C ports might be the only USB ports you have to deal with. But until then, you’ll need a collection of USB-A to C cables to manage the transition. After a longer-than-usual layoff, PayPal’s eBay storefront is once again offering a solid $15 discount on a $100 iTunes gift card. If you ever buy apps, music, movies, or iCloud storage from Apple, this is basically free money. You don’t need to sell a kidney to afford noise-cancelling Bluetooth headphones; these 4 star-rated Cowin E-7s are just $39 right now, or $31 off with promo code 4BW672VA. 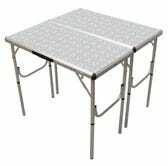 You might not need to use all of this stuff all at once, but buy it now for one low price, and you’ll have it ready to go in the garage when you need it. Note that the discount is shown at checkout. You’ve probably noticed that mules have taken over all of your favorite bars, and now you can serve them at home with a pair of 4.8 star-rated hammered copper mugs for $16. You’ll also get a bonus copper shot glass in the box. My tips: Try swapping out the vodka for gin to make a Manchester Mule. I also like to throw in a muddled mint leaf or two. 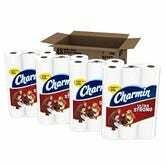 Charmin Ultra Strong is our readers’ favorite toilet paper, and you can pinch a few bucks off when you buy 48 rolls from Amazon and clip the $2 coupon. You need toilet paper anyway, so if you’ve got the storage space, you may as well stock up. 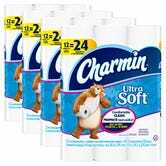 The $2 coupon is also available on Charmin Ultra Soft, which is a couple bucks cheaper to begin with. 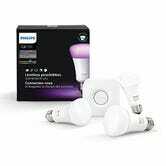 Individual Philips Hue light bulbs have been frustratingly resistant to discounts over the years, so if you have a chance to save 10% on the latest model, you should probably swallow your pride and pull the trigger. 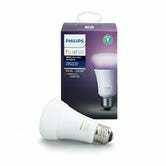 This third generation bulb features richer blues and greens than previous models, and this is the first time Amazon’s discounted it below the usual $50. The deal is available on both the Frustration Free and standard packaging options, so if one sells out, be sure to try the other. Like all Philips Hue products, you’ll need a Bridge to connect them all to your router. Luckily, the third generation starter kit (which includes said Bridge, plus three bulbs) is also $30 off. 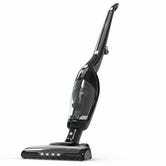 Anker’s HomeVac Duo has proven popular with our readers because of its (naturally) long-lasting lithium battery and its ability to convert into a hand vac, and if you buy one today, they’ll throw in a humidifier for free. If you’ve spent your life plugging in the vacuum, tripping over the cord, and re-wrapping it just to move into a new room, this will seriously be a sea change for you. The HomeVac Duo can run for 24 minutes at full power or up to 60 in eco mode, no cords required. And when it comes time to clean your car or furniture, you can pop the vacuum out of its base, and use at full power in handheld mode. 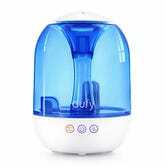 To get this deal, just add the vacuum and this $43 Humos humidifier to your cart, and add code SZHYA5E5 at checkout to get the humidifier for free. You might not need it at this time of year, but you’ll be happy you bought it come the fall. This deal is only valid on the red HomeVac, which is listed at $120, but if you don’t care about the humidifier, the black model is only $90. 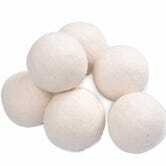 The first time we posted a deal on wool dryer balls, you guys bought thousands of them. Today’s deal is from a different brand, but $9 for a half-dozen (with code YYYZZZOO) is a fantastic deal. When your tires get low, you’ve got two choices. You could scrounge together some quarters, drive to a gas station, fumble around with the filthy air hose, and run out of time after filling three tires. 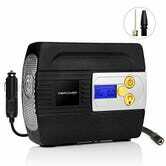 Or, you could just buy a compressor to keep in your trunk, and top off your tires whenever you want, for free. This one’s only $21 today, and even includes a warning light if you have to use it on the side of the highway. Usually, when there’s a deal on Rubbermaid’s top-selling FreshWorks containers, it’s on the 2-pack. But today, you can augment your collection with an individual large container for $12, the lowest price in over a month. If you aren’t familiar with these things, each FreshWorks product includes a “crisp tray” which elevates your produce off the bottom of the container, giving moisture a place to drip, and air enough room to flow. 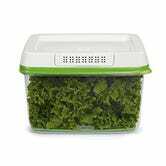 The lids also include special filters that regulate the flow of oxygen and CO2 into and out of the containers, allowing your fruits and vegetables to stay fresher, longer. Update: Back in stock, if you missed it over the weekend. A sharp knife is the single most important tool you can have in your kitchen. Not only are good knives much more enjoyable to use, they’re somewhat counterintuitively safer, since they’re less likely to slip. Mac Knife’s Professional Hollow Edge Chef’s Knife is about as sharp as they come, and boasts a Sweethome recommendation to prove it. The blade rarely dips below its usual $145, but a third party seller on Amazon just sliced $25 off that going rate, so hurry over (but don’t run, because knives) to place your order before it sells out. You’ll always be on the cool side of the pillow with this 4.3 star-rated gel pad. 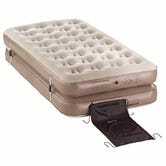 Just refrigerate (optional), and slide it into your pillowcase before bed. Our readers have bought thousands of Waste King garbage disposals over the years, and several entry-level models are on sale today on Amazon. You won’t find any of the beefy 1+ HP models here, but even the 1/3 and 1/2 HP options should be sufficient for most kitchens. 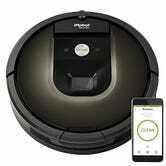 Roombas have been bopping around our houses for about a decade now, but the Roomba 980 is the first model that might actually be considered “smart.” It also happens to be our readers’ favorite robotic vacuum. And while it’s certainly not cheap at $800, but that’s still $100 less than usual, if you’re in the market. 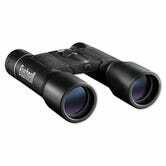 Bushnell Powerview Binoculars. 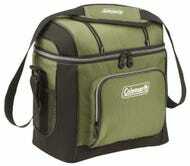 Price varies after $15 mail-in rebate. You probably didn’t wake up this morning planning to buy a pair of binoculars, but this deal is so crazy that there’s really no reason not to. A bunch of Bushnell Powerview compact binoculars are listed in the $20-$25 range right now, but a $15 mail-in rebate brings almost all of them down to under $10. Whether you use them for hunting, stargazing, or getting a better view at sporting events, that’s an insanely good price. Prices vary by color and focal distance, so click around to find the right deal for you. We see deals all the time on copper string lights, but if you prefer the look of “globe” style incandescents, you can get a 25' strand with 25 bulbs for $15 today (with code H8A2IF9O). 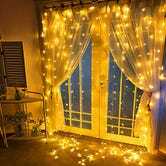 It’s already warm outside, so string these up on your patio and enjoy the outdoors. If you need a quick, last minute Father’s Day gift idea, or just need a little nudge in the right skin care direction before summer, this Gold Box is for you. 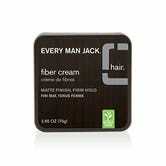 Not only is there the Philips Norelco Shaver 4500, there is fiber hair cream and beard oil from Every Man Jack. Maybe it’s time to drop a less subtle hint that you want him to take care of his facial hair. It’s the perfect time of year for a camping trip, and Amazon’s celebrating with a sale on Coleman camping gear, including tents, sleeping bags, cooking gear (including the Camp Propane Grill/Stove), and more. A few examples are below, but head over to Amazon to see the rest. Dorco, the best deal in razor blades, is offering an insane discount on their seven-blade (yes, seven) Pace 7 razors today. Just use promo code KINJA7CC at checkout, and you’ll get the handle and 10 cartridges for just $14, plus free shipping. 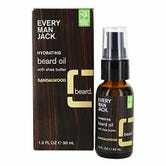 Your stubble won’t stand a chance. In my opinion, a classic wristwatch still looks better than any smartwatch, any day. Today only, pick up the perfect last minute Father’s Day gift: a watch. Amazon’s Gold Box can get them to you by Sunday, since they all have Prime shipping, with brands like Seiko (including the reader-favorite 5 series), Citizen, Timex, Bulova, and more. But time’s a-tickin’ on this deal and these prices only last until the end of the day. If you need any type of activewear or sneakers in the next coming weeks now that it’s finally nice out, Reebok is giving you 25% off everything in their outlet shop with the code OUTLET25. From sneakers, to running shorts, to bags to throw all your stuff into. Just use the code at checkout. If you’ve had your eyes on a Fitbit (may we recommend the Charge 2? ), or wanted to get one for Dad this month, nearly the entire lineup is on sale right now on Amazon, with discounts ranging from $20 to $50. Logan was a stunningly great conclusion to Hugh Jackman’s Wolverine series, and the Blu-ray is already down to $12 mere weeks after release. This Scorsese triple feature Blu-ray includes The Departed, Goodfellas, and The Aviator, all for $10. You could say it’s the way of the future...of your movie nights. Ba bah bum, ba dum ba dum dum, ba bah dum, ba dum ba dum dum dum. If you own an Xbox One, but not Rocket League, today’s a great day to fix that. For a limited time, if you buy a 3-month Xbox Live Gold membership for $25, you’ll get an email after you purchase with a free download code for the best rocket-powered automotive soccer game ever made. Note: Make sure you see the Rocket League offer in Amazon’s “Special offers and product promotions” section on the product page before you purchase.